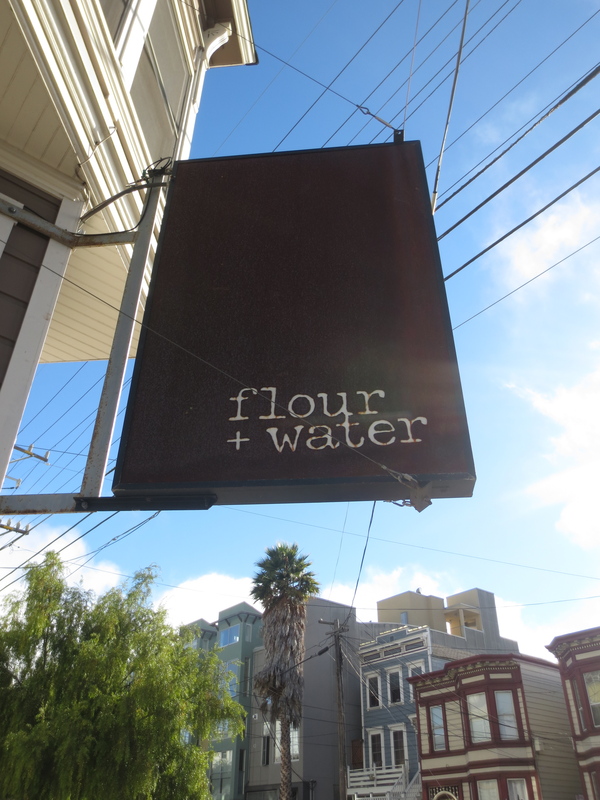 Flour + Water (San Francisco) – T.W.O. Published on September 19, 2013 September 19, 2013 by T.W.O. Flour + Water is a Italian restaurant located in the Mission District of San Francisco. All their pasta is homemade, just like they do in Italy. The Neapolitan style pizza is a fan-favorite as well as the whole animal utilization in their dishes. The menu is constantly changing to capture the season’s best vegetables. T.W.O. had a chance to eat here in August and enjoy their tasting menu. Note – please do not read this while you are hungry….you will be starving after! The atmosphere of the restaurant is rustic, artistic and inviting. T.W.O. enjoyed sitting at the community farm-fresh table at the front of the restaurant. 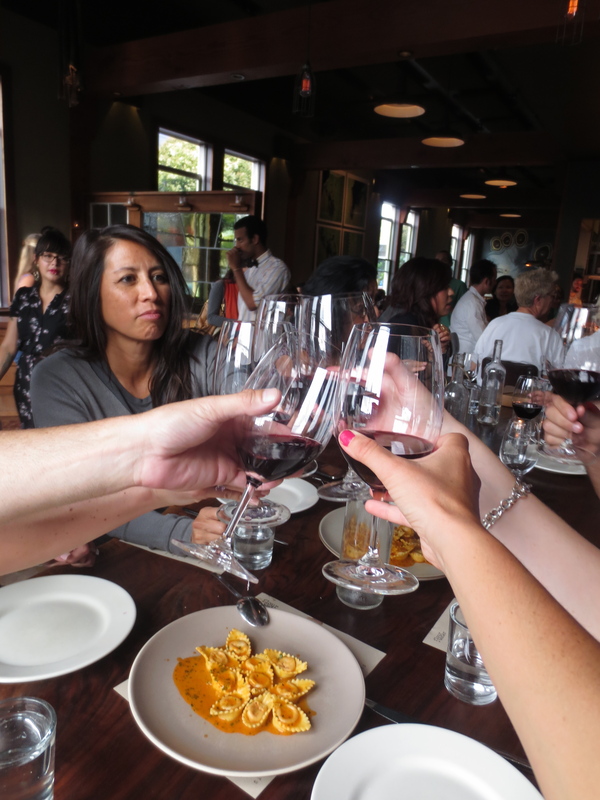 There are private tables near the back, along with a bar that looks like a great place to enjoy a glass of wine as you wait for your table. The atmosphere is great for a group, a date or even friends catching up, especially with the great playlist they have on! Flour + Water does takes reservations, but if you forget and just walk in, there is usually a wait time of over an hour. 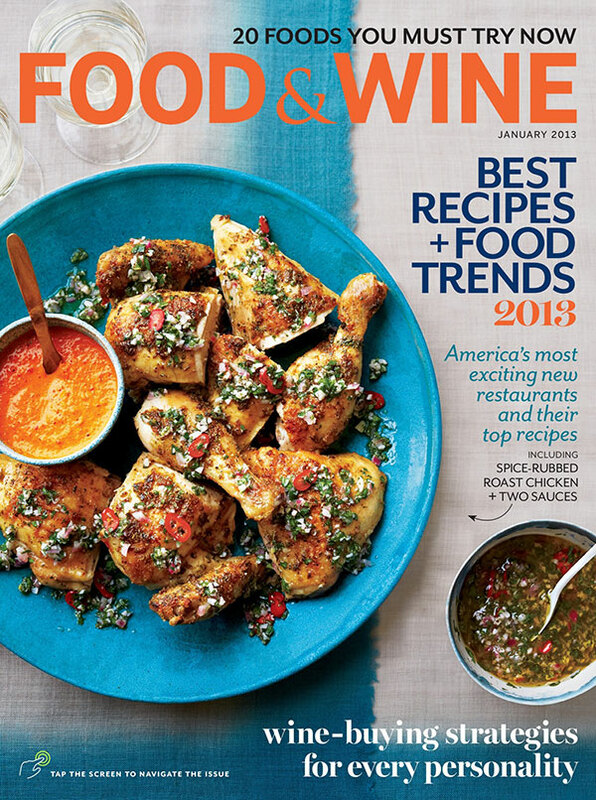 The foodies will line-up at 5 o’clock waiting for the gastronomical experience….consider T.W.O. one of those people!